The oldest son of Alaska's former Gov. Sarah Palin has won a postponement on serving a year in custody in an assault case after his lawyer said a bed at a treatment hospital for veterans became available. Track Palin was supposed to turn himself in to an Anchorage halfway house Wednesday after a judge recently decided new assault allegations disqualified him from a court program intended to rehabilitate veterans and said he would have to serve time instead. Anchorage District Judge David Wallace approved a motion by Palin's attorney Friday seeking to allow the 29-year-old to begin serving his sentence Dec. 5. Wallace was appointed to the bench by Palin's mother when she was the governor. Palin, an Army veteran who served a year in Iraq, has been accused of three attacks on people close to him over the past few years. In the most recent allegations, Palin was arrested in September after a female acquaintance said he hit her in the head. That came less than a year after he was arrested in an attack on his father. 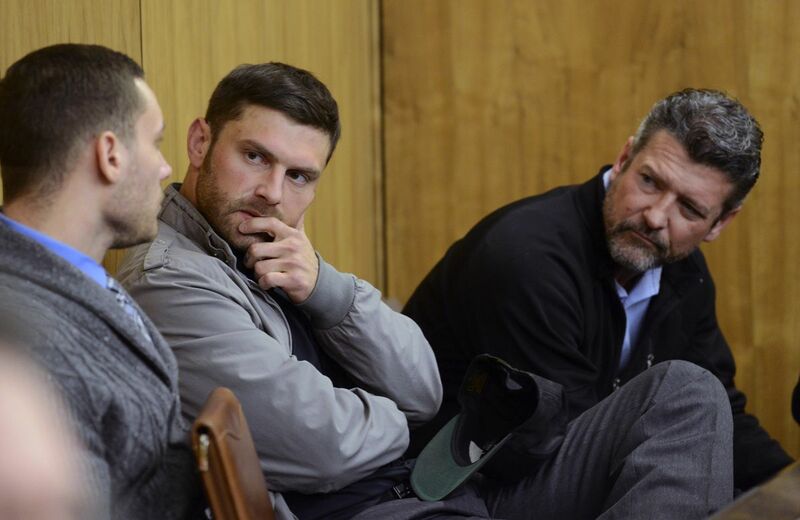 In court documents, attorney Patrick Bergt said he recently heard from the Chris Kyle Patriots Hospital in Anchorage, which treats addiction and PTSD, that a bed was available for Palin, beginning Monday. The treatment would last no more than 30 days and would "benefit Mr. Palin significantly," Bergt wrote in his motion. Bergt did not immediately respond to a request for comment Wednesday. Anchorage District Attorney Richard Allen said Wednesday he opposed the delay, saying Palin had been through treatment at the same facility once before "and it obviously didn't take then." The court has given Palin numerous chances to better himself and yet he chose to "once again engage in violent criminality," Allen said in a motion filed last week. "It is time for this Defendant to face an actual sanction and to adhere to the terms of the agreement he made," Allen wrote. Palin was arrested Sept. 28 after a female acquaintance said he told her that she could not leave his house in Wasilla, took her phone and then hit her in the head, according to court documents. The woman said they wrestled over the phone and that Palin let her leave after she screamed for help, according to an affidavit by Alaska State Troopers. They said Palin told them that the two were arguing over how they said goodbye and that any injuries the woman had she did to herself. Authorities say he also kicked over a table and threw his head back at a trooper as he was arrested. Palin is facing misdemeanor charges including assault, resisting arrest and disorderly conduct in that case. Last December, Palin was accused of breaking into his parents' home and leaving his father, Todd Palin, bleeding from cuts on his head, authorities have said. He pleaded guilty to a lesser charge in veterans court. Track Palin's arrangement called for him to serve 10 days in jail if he completed the therapeutic program and a year behind bars if he didn't. Once Palin checks in to the halfway house, it's up to the Department of Corrections to determine if he will serve the time at the halfway house, in house arrest or in jail, Allen said.